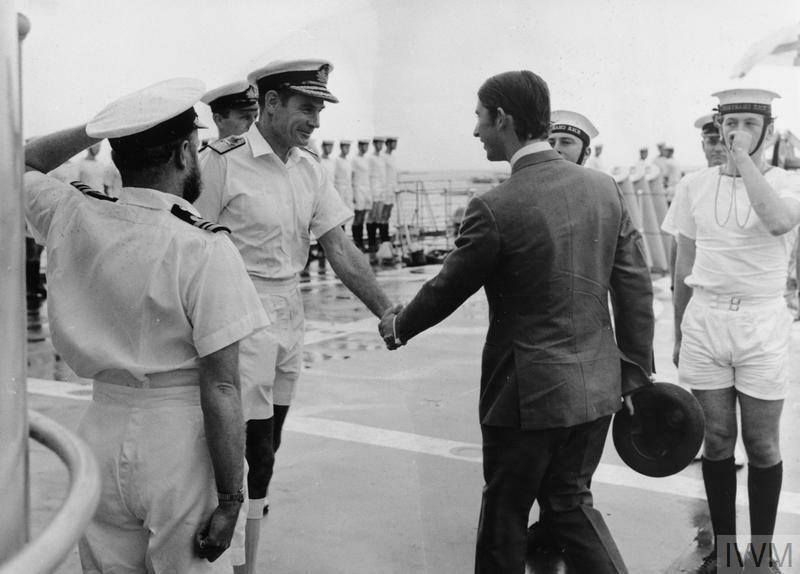 PRINCE CHARLES WITH THE NAVY IN THE FIJIS. 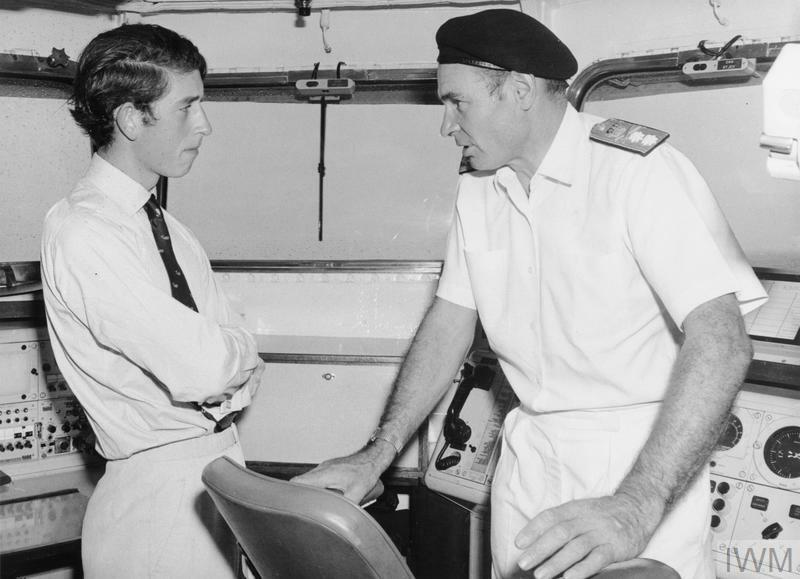 OCTOBER 1970 ON BOARD THE LEANDER CLASS FRIGATE, HMS CHARYBDIS. 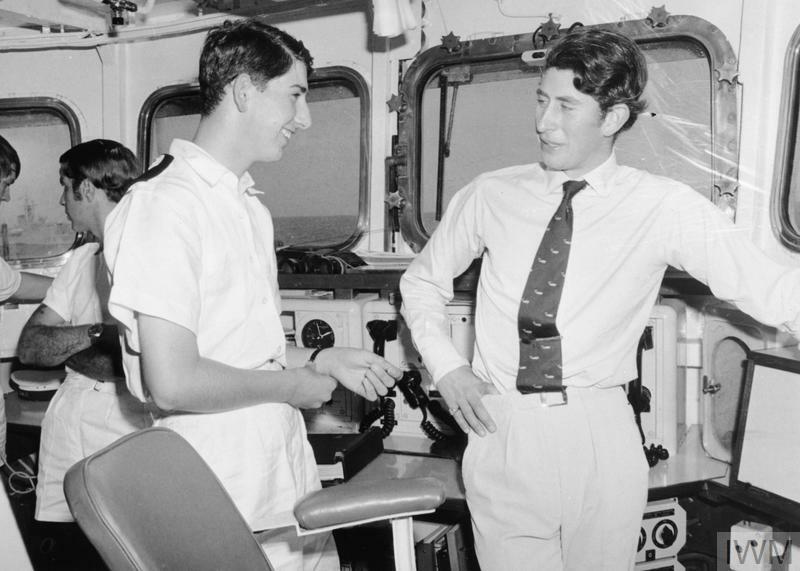 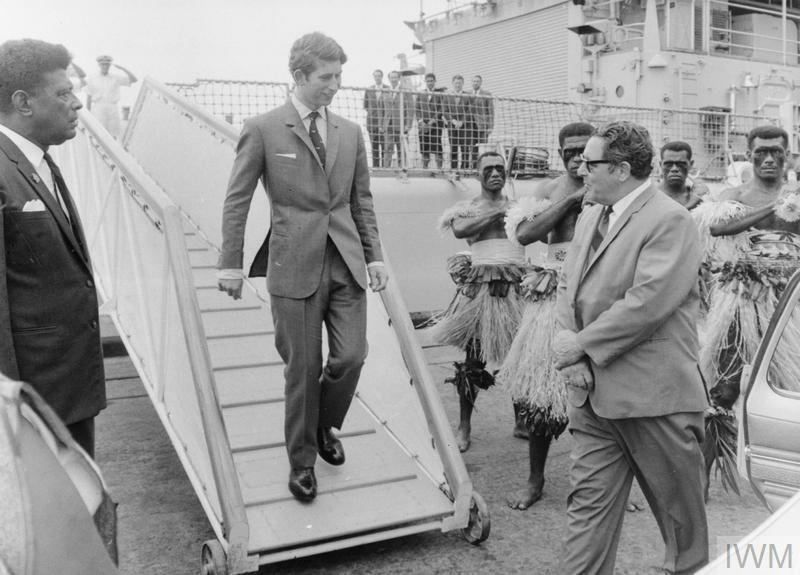 AFTER REPRESENTING THE QUEEN AT THE FIJI INDEPENDENCE CELEBRATIONS PRINCE CHARLES EMBARKED IN THE FRIGATE FOR VISITS TO OTHER ISLANDS IN THE FIJI GROUP. Prince Charles leaves HMS CHARYBDIS for a visit to the island of Levuka.